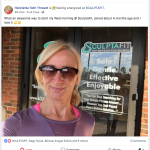 She and her husband have been so positively impacted by this unique exercise method – they even bought a complete SCULPTAFIT Home-Gym System to take back to Scotland when their stay in the USA is over at the end of 2019. 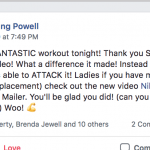 Just fill out the form below and we'll send you our total-body toning method! YES! Contact me today to schedule a FREE no obligation consultation and trial workout.